1. You CAN do a proper blowout at home! We’ve all been there, you leave the salon feeling amazing and loving your style. After a day or two (or sometimes three, if we’re being honest! #dryshampoo) you wash your hair, and it never quite looks the same again. There are a few simple steps that will help you get a blowout that’s at least closer to the one you get from your stylist. First, products are a necessity! You should never be applying heat to your hair without a thermal protectant. 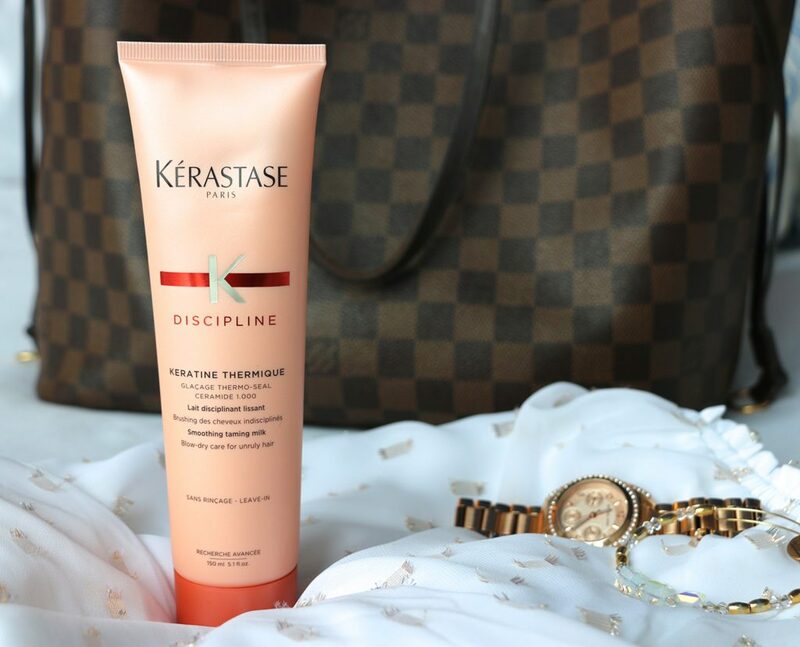 Kerastase Discipline Thermique is one of my favorites but choose the one that best addresses your hair’s primary need. If you stop here, at least your hair’s protected but a mousse for volume, a crème to smooth or an oil for shine are all great options that can be layered or used on their own. The next step is to power dry the hair to about 80% dryness. You aren’t shaping your style while its sopping wet, so its okay to put the brush down and just get most of the moisture out. Next, section your hair and dry 1 to 2 inch sections with a round or flat brush, depending on the style you are looking for. Finally, after the hair feels completely dry, keep drying just a little more to remove any internal moisture for a long-lasting blowout. At the end of a guest’s appointment, its customary to set up the next one. 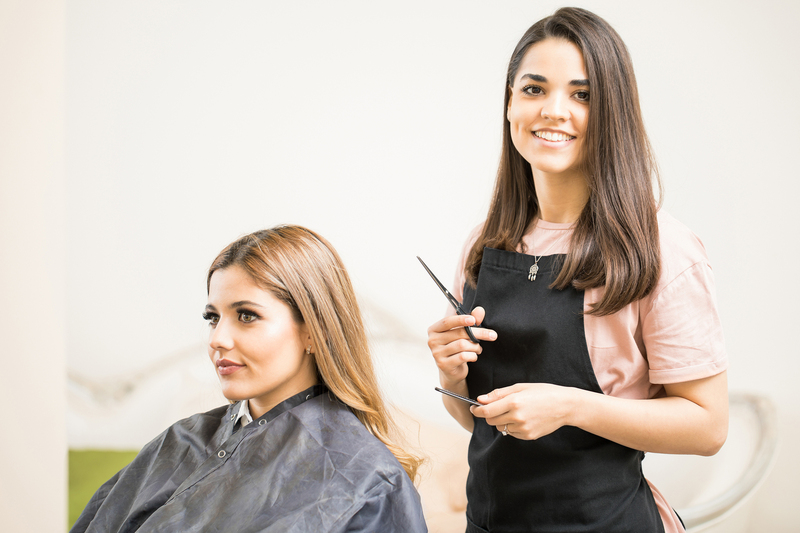 Often its assumed that this is only necessary with a very busy stylist, but there are multiple reasons to pre-book, whether your stylist books out a year in advance or a day. 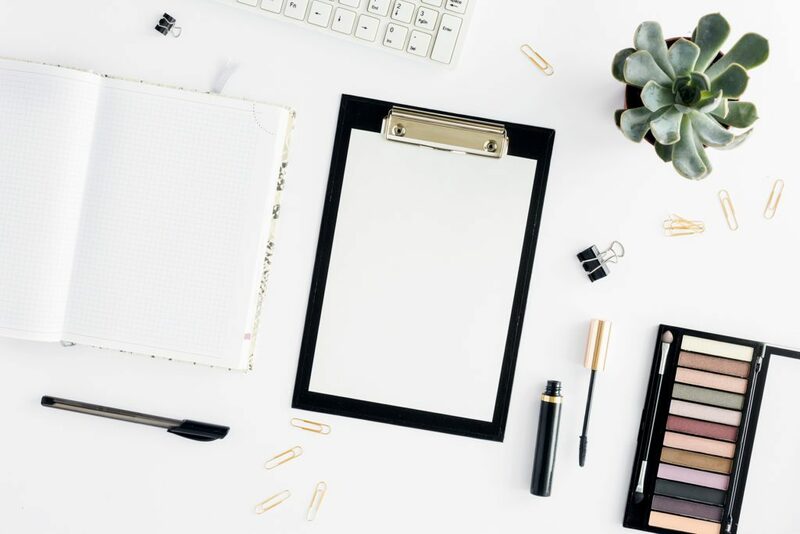 For a lot of us, we don’t really think about making a hair appointment until we look in the mirror and see that we desperately need it, but if you set your appointments in the time frame recommended by your stylist, you can avoid those days where you can only pull off an outfit that as a hat to match. Also, its nice to know that you have that “me time” on your schedule. Everyone deserves a little pampering sometimes, so plan for yours! Of course, appointment flexibility is also a major reason to pre-book. Contrary to popular belief, your stylist probably does have a life outside of the salon. She may have family obligations, vacations, or may even make schedule changes from time to time. So even if you have been able to get in on a whim once, that might not be the case the next time you need an appointment. So do yourself a favor and before you leave, set up that next appointment. If you must move it later, that’s okay, but at least you’ll know when its time to come in! It happens all the time. A guest comes into the salon with jet black box-dyed color and a photo of platinum hair that she just HAS to have. If Kim K can do it, then you can too, right? Well, yes and no. You may be able to, but there is a very good chance its going to take awhile, and by awhile, I mean months. A good stylist will only take your hair as light in one visit as they can while still maintaining your hair’s integrity. So just know, if you’re looking for a dramatic change you’re going to need conditioning treatments. Shu Bar, by Shu Uemura is one of the best, and you can get it at your regular color appointments as well as between. You’re going to need to invest in great salon quality products to use at home. You’re going to need time and baby steps at multiple visits. And also, you’re going to need money. The saying is true…you get what you pay for. Merriam-Webster defines color as a phenomenon of light or visual perception that enable one to differentiate otherwise identical objects. In other words, how color is perceived is dependent entirely on the light which its being exposed to. This absolutely applies to the color of your hair. 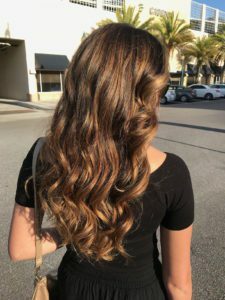 If you look take a photo of the same head of hair under outdoor light, fluorescent light, LED light and halogen light, it most likely would appear to be four distinct colors. If you loved your hair color at the salon and then go home and are unsure about it in your bathroom mirror, try looking at it in a few different lights. Whip out that selfie mode on your phone and take some photos in different rooms of your home and outside. You may just find you really do love your color in other lighting. Number four leads me right into my final tip. Say you took those photos and it turns out you actually aren’t happy with your color. So often, I hear people say things like, “I didn’t like my hair, so now I’m going to a different salon.” There are two pieces here that I think should be addressed. First of all, if you aren’t happy, your stylist wants to know! She loves what she does, and she cares about her guests, so if something needs fixed, let her fix it! Re-do’s do happen sometimes, even to the most experienced stylists, and that’s okay. We can’t learn from mistakes if we don’t know we made them. The second part I want to address, is when you just don’t think your stylist is right for you, but you love the salon. 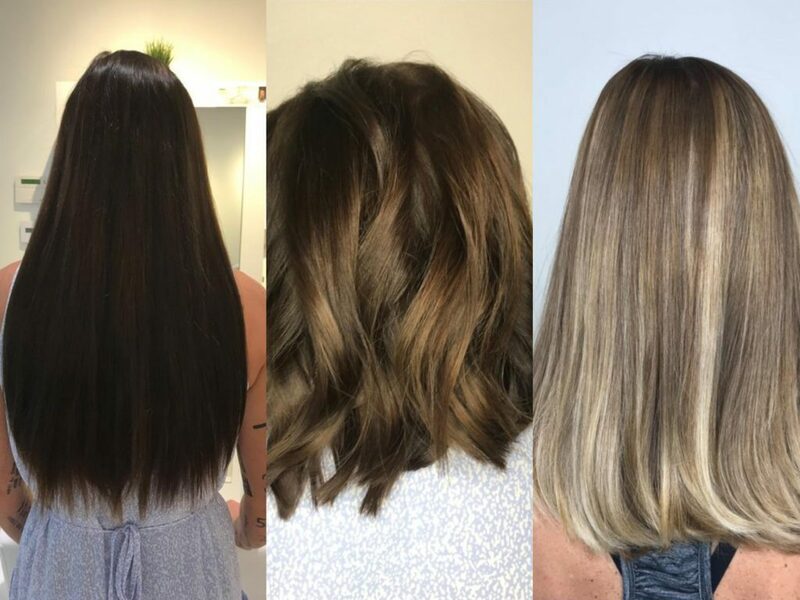 It really is okay to come back and go to a different stylist. Again, your stylist cares about you and your happiness, and also, she’s probably friends with the other stylists in the salon and enjoys seeing them busy. She won’t hate you, she won’t be upset wit you, and she won’t make it awkward. Stylists are artists, and like all forms of art, each artist has their own individual style. You deserve to find the person whose style best reflects your own. 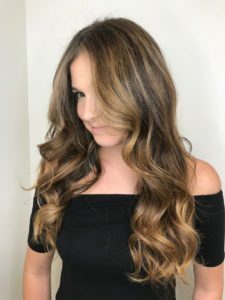 I hope these tips help make your salon visits relaxing, keep your hair looking beautiful, and inspire you to ask your stylist that question you’ve been dying to know the answer to but didn’t know if you should ask. Thank you so much for giving everyone remarkably wonderful chance to check tips from this blog. It is often very fantastic and packed with a good time for me and my office friends to search your website more than thrice in a week to find out the new stuff you have got. And lastly, I am also at all times fulfilled with all the astonishing thoughts served by you. Some 4 ideas on this page are clearly the best I have ever had. I appreciate how you said that if you aren’t satisfied with the hairstyle that you have, you should let your hair stylist know. The whole point of the work that they are doing is to help you have a hairstyle that you enjoy, so it makes sense to tell them. That way you can get a hairstyle you want and they get to keep a client that is valued to them. I like your suggestion to pre-book our next appointment so we’ll be sure to get our “me time” in. Usually I just let my hair go until I look in the mirror and realize it looks terrible. I think I’ll take your advice and start treating myself to regular appointments. My sister wants to have a new look before going to college because her hair looks messy. 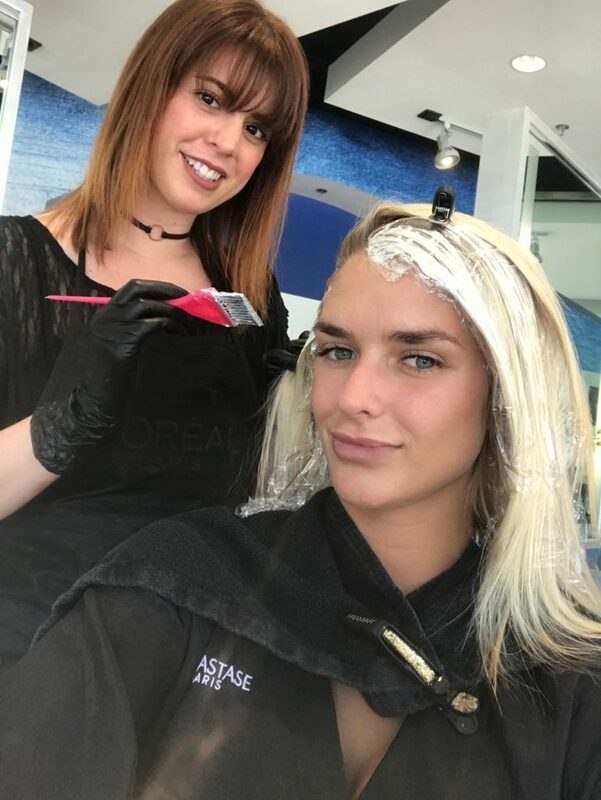 It was explained here that pre-booking an appointment to the salon will benefit her because she can make sure that the stylist is available for her. Furthermore, it’s recommended to go to a trusted beauty salon for quality work. I had not thought about getting a hair coloring service until recently and I am not sure how to pick one. It is nice to know that there are services that will not be offended if you want a change made. Finding a place that will be willing to listen is a huge deal to me and will be a big priority. I have been looking for new hair salon services since I moved to a new area. Your tip that you cannot go from jet black to platinum blonde quickly is interesting to me. It is good to know that the hair stylist won’t damage my hair and also that I can’t change colors in extremes. Thank you for pointing out that you should make sure and address issues if they come up. I’m wanting to get my hair colored and need to find a salon. I”ll have to do some research and find the best salon in my area. Thank you for these tips on seeing a hair stylist. My hair is really needing some care. I’ll have to look into finding the best hair stylist in my area.